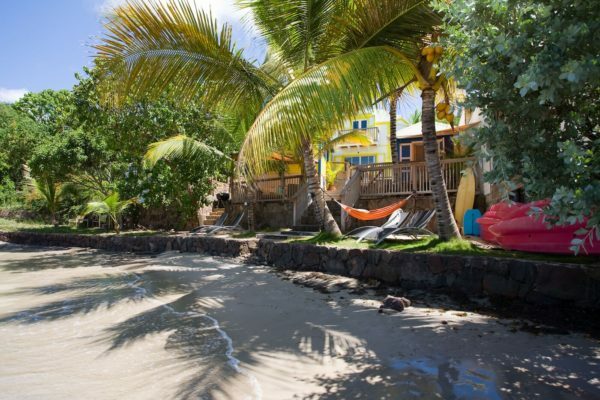 Beach House is a charming cottage directly on Saint Jean Beach. 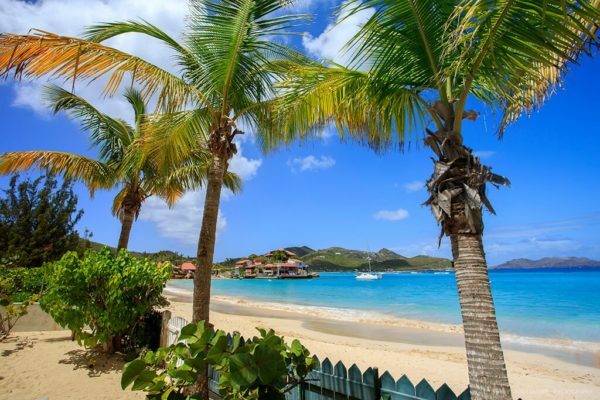 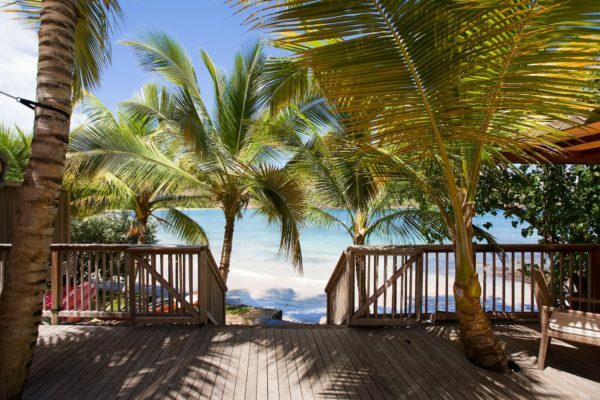 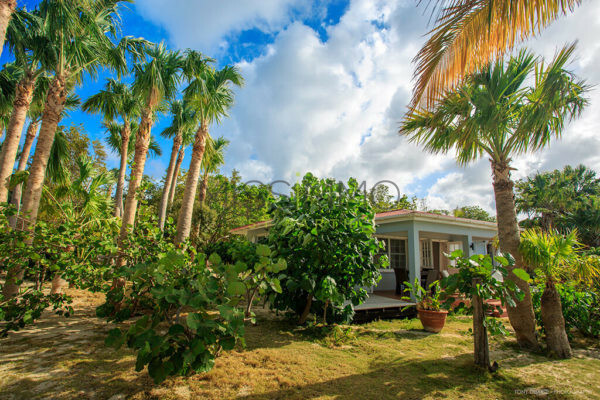 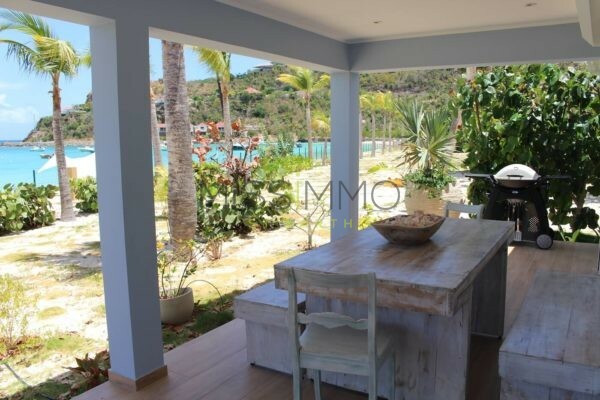 From the house, you can cross the small garden to reach the white sandy beach as well as its turquoise waters. 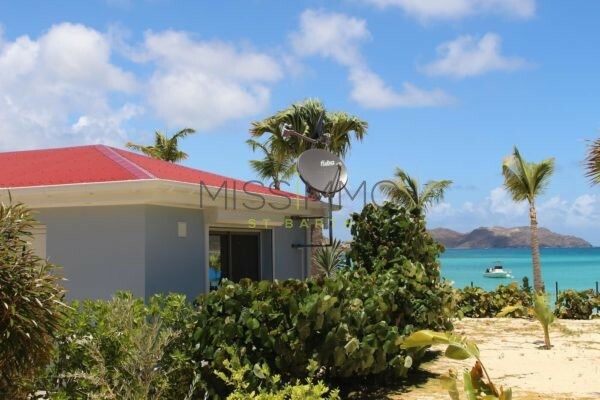 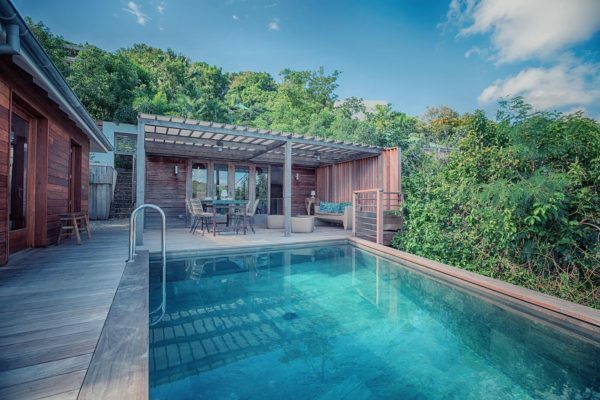 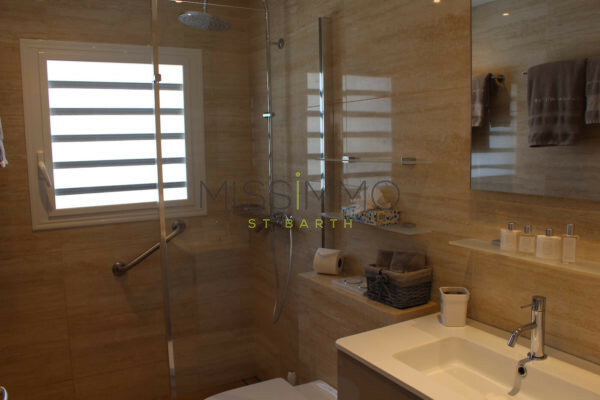 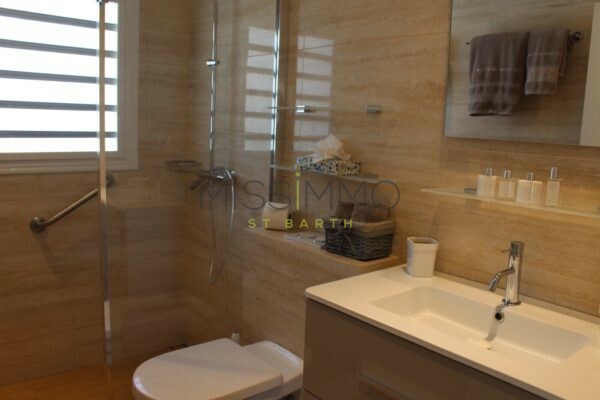 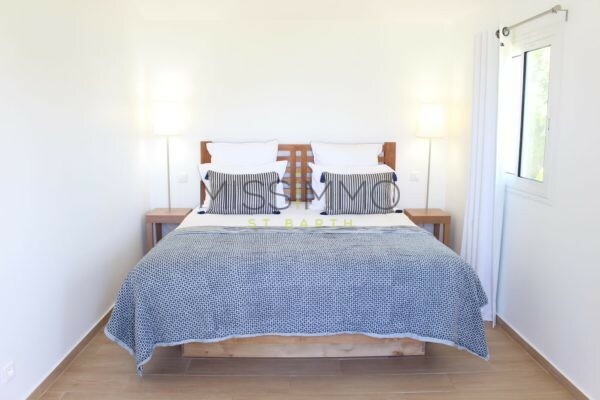 On the waterfront, the villa features a bedroom in addition to an ensuite bathroom with shower. 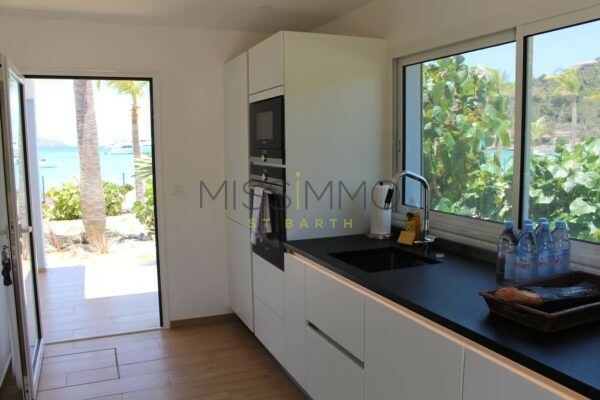 A kitchen, dining room in addition to a terrace give a splendid view over the bay. 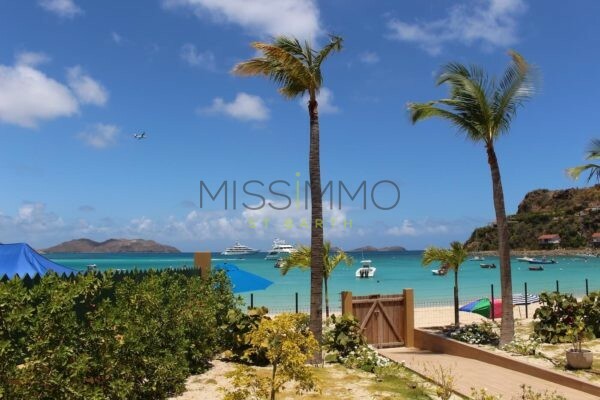 Shops, luxury shops and restaurants are within walking distance. 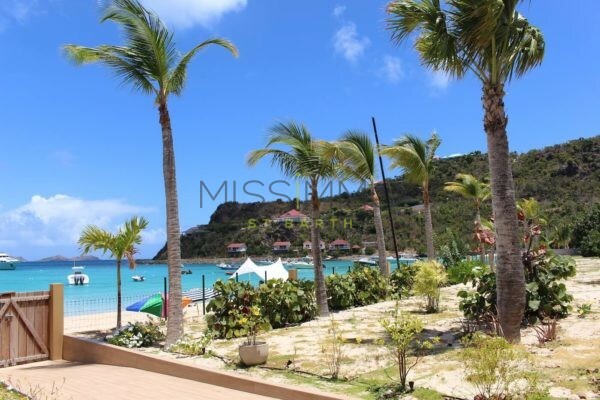 Such as Nikki Beach, Eden Rock or Pain de Sucre. 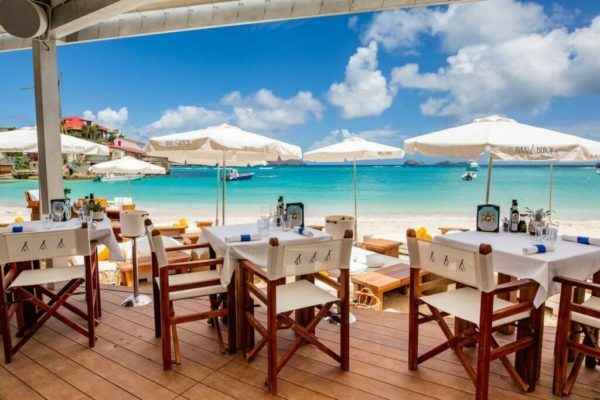 Come enjoy a cocktail comfortably lying on your lounger and let yourself be rocked by the sound of the waves and the sing of the gulls. 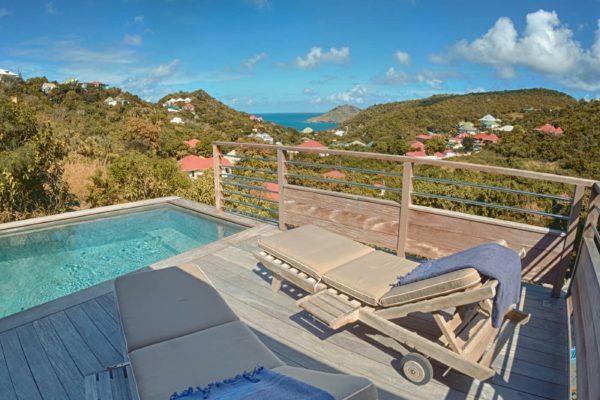 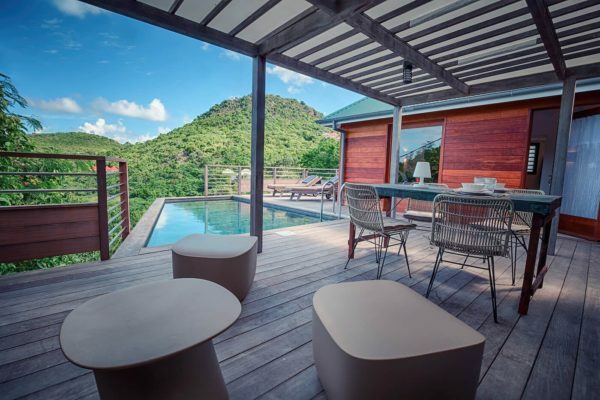 This unique villa is waiting just for you. 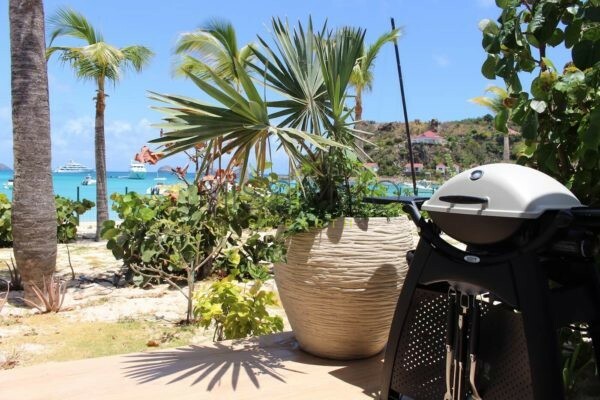 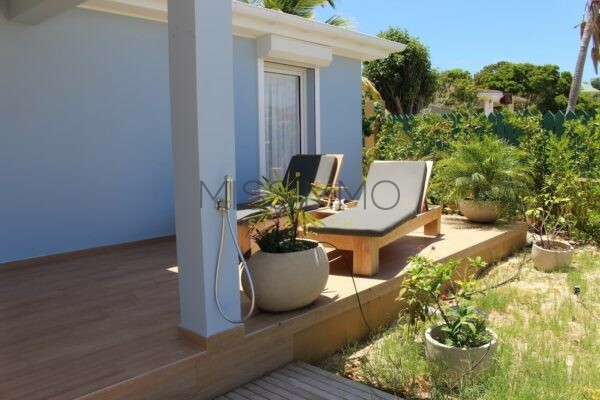 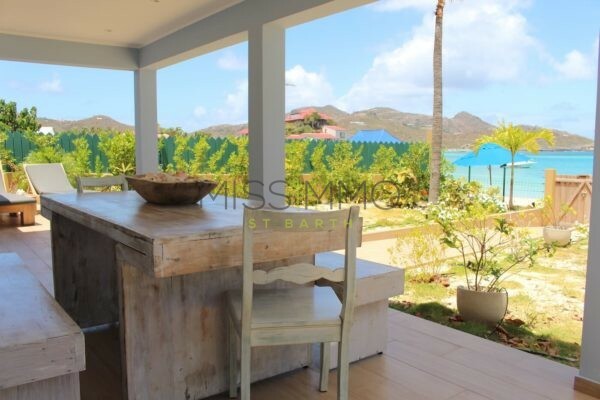 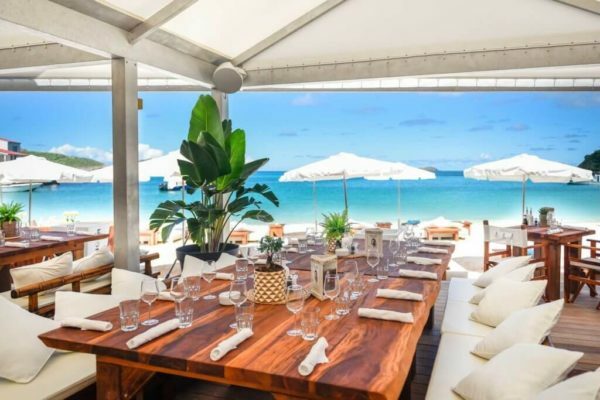 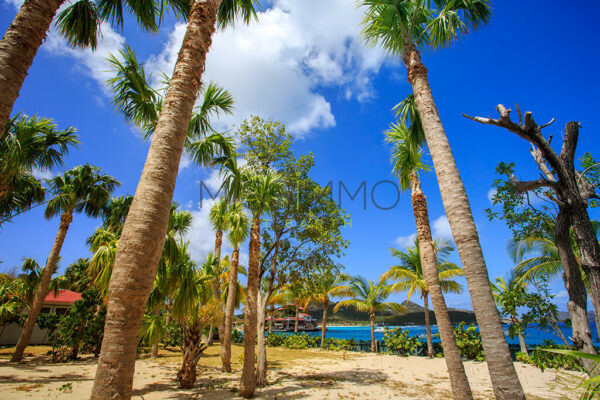 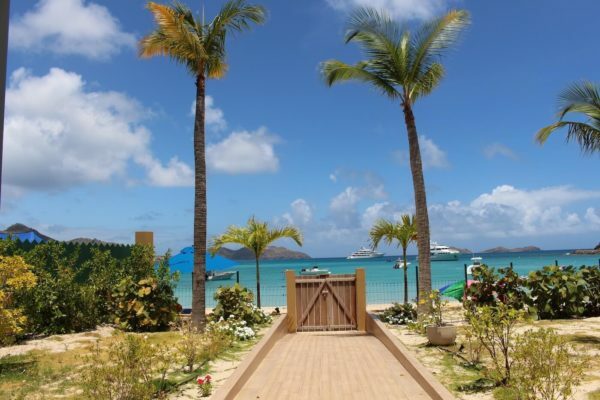 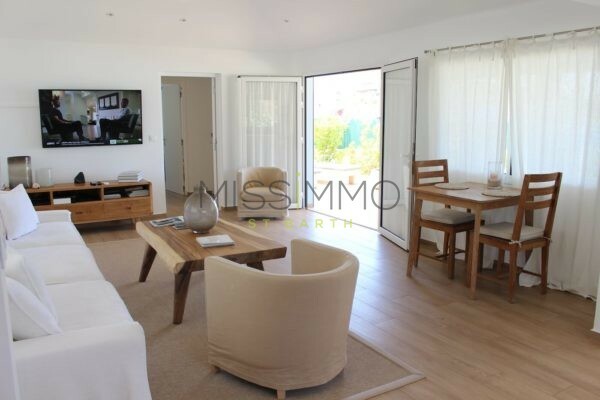 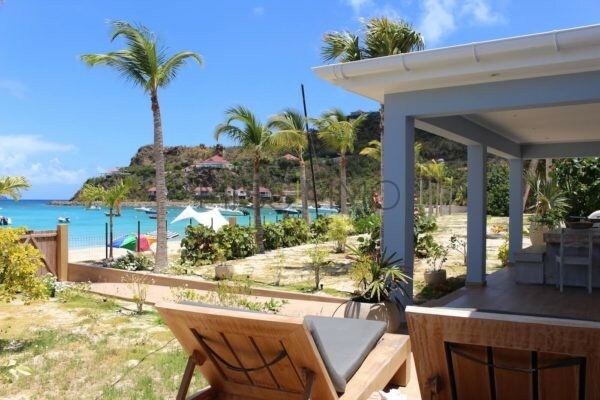 Private entrance to St Jean Beach – Dining table – Loungers – Gas Barbecue. 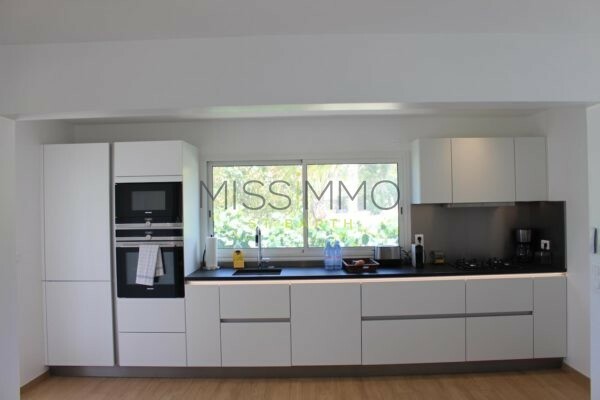 Equipped for 4 guests: Fridge – Freezer – Oven – Dishwasher – Microwave – Coffee machine (Regular & Espresso) – Toaster.